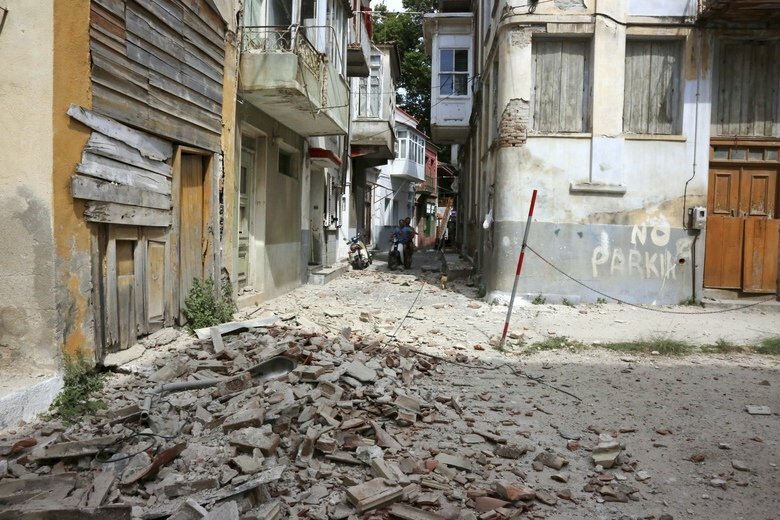 A 6.3-magnitude earthquake has struck off the Aegean coast of western Turkey and the Greek island of Lesbos, with tremors felt in Istanbul and Athens. According to the US Geological Survey (USGS), the quake’s epicenter was 3 miles south of Plomari, a town on the coast of Lesbos. Several buildings were damaged but the village of Vrisa was worst hit with 10 people taken to hospital. Turkey and Greece sit on significant fault lines and earthquakes are common. The initial quake struck at 15:28 local time on June 12 and was followed by two aftershocks minutes later. Details of damage and casualties in Vrisa took some time to emerge, but the mayor told Greek media the place looked like it had been “flattened by bombs”. A woman was trapped in the rubble of her home reportedly with a fractured spine. None of the injuries were said to be life-threatening. Vrisa’s 500 residents were set to spend the night in tents or nearby hotels, Kathimerini website said. The main road from the island’s capital, Mytilene to Plomari was damaged by a landslide, public TV reported. Greece’s PM Alexis Tsipras said the safety of people on Lesbos and neighboring Chios was paramount. No injuries were reported on Chios. Buildings also shook in the Turkish coastal city of Izmir.